Panjab Digital Library is gearing up to launch The Khalsa Raj: Banda, Battles & Body Politic exhibition in Surrey, British Columbia and is making every effort to impress by creating an interactive experience. Panjab Digital Library whose mission is dedicated to preserving and interpreting the culture and history of Panjab, sees this exhibit as a key opportunity to increase the general awareness of Panjab’s rich history to Canadians. In partnership with the Khalsa Credit Union and Surrey Libraries, the exhibit will be on display at City Centre Library (10350 University Drive, Surrey, BC) through April 24, 2013. The exhibition, a Canadian exclusive celebrates the independent Sikh spirit under the leadership of Banda Singh Bahadur, spanning the years 1708-1716. It begins with Banda’s meeting with Guru Gobind Singh, and includes materials that illuminate major incidents, significant forts and historical artifacts. Additionally, quotes from contemporary sources have been woven throughout the exhibit to create a sequential order of events as they occurred until Banda's martyrdom. "PDL Canada is proud to introduce The Khalsa Raj: Banda, Battles & Body Politic exhibition to Canadians. The exhibit helps to showcase the importance of digitizing Panjab’s heritage and PDL’s mission," said President of PDL Canada Baljinder Narang. Organized chronologically and thematically, the installation was conceived with an eye to illustrate the rich and ongoing dialogue about the impact Banda had on the psyche of the rulers of that time. A sampling of material includes reproductions of unpublished contemporary letters in Marwari, which afford a context that illuminates the concerns and ambitions the cultural group in that timeframe. The exhibition, which is bilingual (in English and Panjabi), unfolds with paintings illustrating the events and eyewitness accounts of the executions of the Sikhs and Banda. is free to visitors and is recommended for those 16 years of age and older. 'The Khalsa Raj: Banda, Battles & Body Politic' exhibition celebrates the sovereign Sikh spirit under the leadership of Banda Singh Bahadar. The focus is on the digitized heritage of Panjab that elucidates interesting facets of this glorious era unfolding historical events. Spanning 1708-1716, it covers major incidents, places, forts, and paraphernalia starting from Banda Singh Bahadur's meeting with Guru Gobind Singh. The displays include reproductions of historical paintings, hukamname, forts, old buildings, rare pictures, official and non-official documents including Marvari letters detailing the movements of Banda Singh Bahadur, coins and seals issued during the Khalsa Raj. Quoting contemporary sources it attempts to bring to life the complete sequence of events as they occurred till Banda's martyrdom. The exhibition will be accompanied by mounted images of the exhibition. The images are curated by Panjab Digital Library and will be available during exhibition hours ($15 each). A range of events and education programs will complement the exhibition. Media Launch will animate the exhibition April 11, 2013 at 2 pm; illustrating the key role PDL Canada and the exhibition have for preserving Panjab’s heritage and culture. Guided Tour presented April 18, 2013 at 2pm. Explore the exhibition with skilled guides who will describe how it relates to culture and history. No advance registration is required. 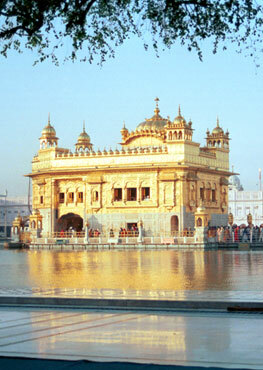 The Khalsa Raj: Banda, Battles & Body Politic Talk will take place on April 19, 2013 at 6:30pm. Featuring renowned speaker, Harinder Singh, Educator and Activist, discussing the essence of the Sikh spirit under the leadership of Banda Singh Bahadur, spanning the years 1708-1716. Launched in 2003, Panjab Digital Library (PDL) is a global non-profit organization focused on locating, digitizing, preserving, collecting and providing accessibility to the accumulated wisdom of the Panjab region of India without distinction to script, language, religion, nationality, or any other physical condition. PDL is dedicated to saving historical archives, addressing heritage loss, and connecting people globally by providing free online access. With more than seven million pages in archive, PDL has become the largest free online resource of Panjab heritage and is facilitating ways for any person to connect with the 'land of five rivers' and unfold its linguistic and cultural vastness. 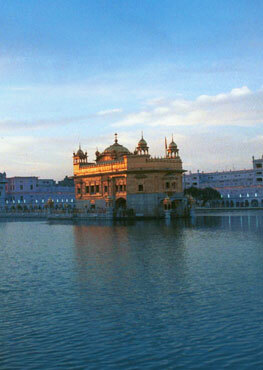 For more information on Panjab Digital Library (PDL), please visit www.panjabdigilib.org.